We come up with designs and copy that will work for your business. We execute the campaign and consistently feedback tweak and manage to perfection. Facebook is interuption advertising. 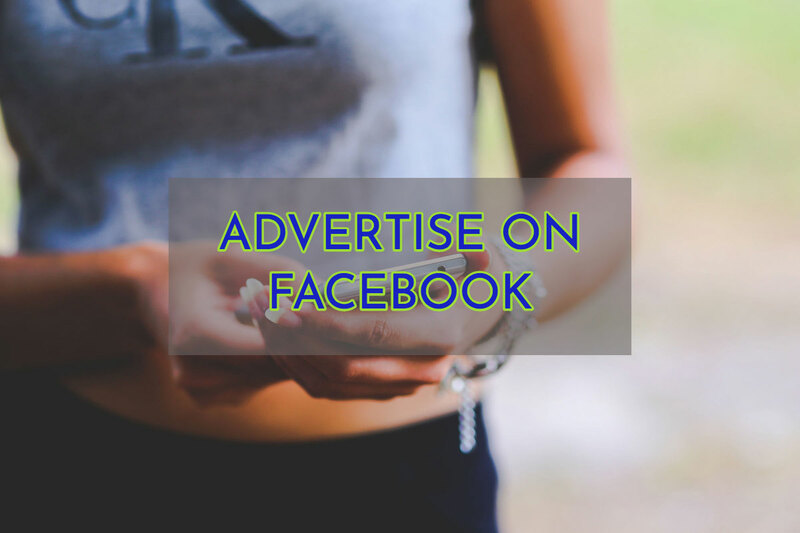 Potential customers are looking through their feed scrolling down and depending on their interests which facebook knows very well they will get served an appropriate ad. Consider the way google delivers ads, that you go to google and type in an INTENT "FLOWERS ONLINE CAMBRIDGE". You are looking for something! Googleis giving the user what they want at that moment in time. The advantage facebook has is different. Facebook have a logged in and authenticated person, their behaviours and personality and knowing a lot about what the user really likes. For example facebook knows if you click through an ad and buy something. It knows if you like buying gadgets for yourself it knows what celebrities you like and your politics. "One unique advantage for facebook is what they know about us." You need to evaluate both platforms against your goals. Facebook is also able to multiply a potential audience with LLA's (LOOK ALIKE AUDIENCES) and of course retargeting. If you ever almost bought something on a store adding it to cart and then abandoning the process facebook tracks that action and offers the chance for the customer to buy again perhas at a discount. This is retargetting at a glance. If you are generating leads you might be able to directly gain the information you would otherwise have to get entered from a form such as an email (an obvious pain point). Pick from 6 kinds of advert, your product never looked so good and reached the person hopefully likely to buy. Having the ability to take the user on a full page mobile ad story where the user scrolls down is really excitiing for advertising things you would never normally search for. Some of the formats require videos to be created or at least good images. With google ads you can get going faster with simple text. Sure you can boost a post with facebook at the click of a button but really all you will do is get irrelevat social interactions with your post. So setup with facebook tends to take longer but it's not a deciding issue. You will most likely need some product/service visuals developing especially if you want your Ad to resonate with the audience. Facebook Ads rely on imagery heavily and indeed discourage too much text. So attention to the Ad copy also is vital. We can help you here. Developing the idea/story and assets for your campaign. Instagram advertising is really a subset of facebook advertising and you can lump them together indeed facebook sees it as a kind of advert (a different placement) rather than a complettey different paltform. Other 3rd party platforms and in 'messenger' advertising also exist. It gets complicated quickly for the small business owner or sales and marketing team. Just boosting a post is not the best format for getting traffic. Boosting a post is an ad format and a PPE objective for gettting more likes and shares for your post. You may get very few clicks toward your funnel and be dissapointed if you just try boosting a post. Boosting a post is an easy way for facebook to make money from the average user. Be warned against that easy route. The only time that I consider facebook to be limited in reach is for B2B. Linkedin advertising is much more suited to targeting companies though you might still find ingenious routes to target people who act for companies with facebook. So in short probably facebook can be a source of fast traffic and new business/leads for you. There are 3 things to look at with the costs when you break it down. This is ignoring that you will need a landing page and funnel which you might already have. That part is vital that you have a converting well funnel and this we can help you with alongside the facebook setup and management. 2) Management- constantly monitoring and tweaking the ads, running AB testing and continual iteration of the ads. Reporting to you. 3) Ad Spend- The actual cost of the clicks which you can pay yourself (through your facebook account) or we can do that as part of a contract paid in advance. You should be looking to spend an absolute minimum of 10 pounds per day on Ad spend because with less you won't make an impact. Don't forget you won't be advertising all the time just for the duration of a campaign. You should never look to accumulate leads slowly in this way. Social media advertising is for rapid results you should look at SEO for a more gradual lead generating effect. We need to understand your business objectives to be able to create the content for your campaign and deliver leads. We discuss to see if you need organic traffic, paid advertising or social media advertising or a mix of all channels. You might be better using Google Search or Content advertising. We need to look at the profiling for your ideal customer and move forward from that discussion. We can start things off for you and eventually onboard you to manage your own campaigns and ads if you like or enjoy our fully managed DONE FOR YOU facebook advertising service. In any case we would love to hear from you! Pinterest is also a service we offer in a similar fashion to facebook sponsored posts.